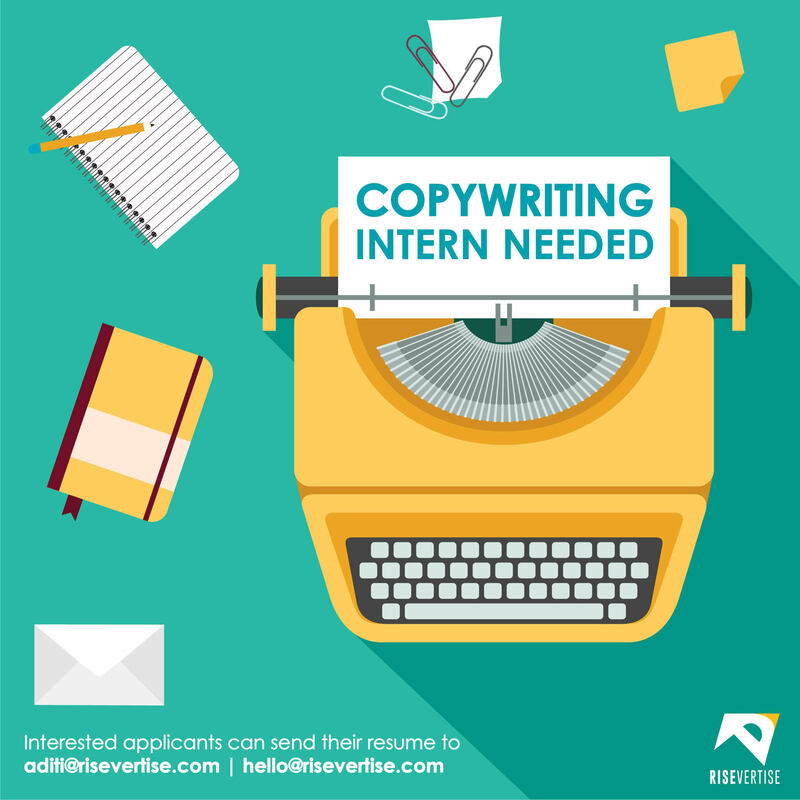 Job Opening: Copy Writer Intern | Risevertise Media | Visualize, Humanize, Publicize. Write and proofread content for our clients blogs, websites, and social media posts. Create promotional text for online ads, banners, brochures and social networks. Coordinate with designers to complement text with images, graphics and charts, as needed. Ability to gasp digital trends and understand implementation strategies. Intern must have their own laptop. Location- Andheri West, Mumbai.